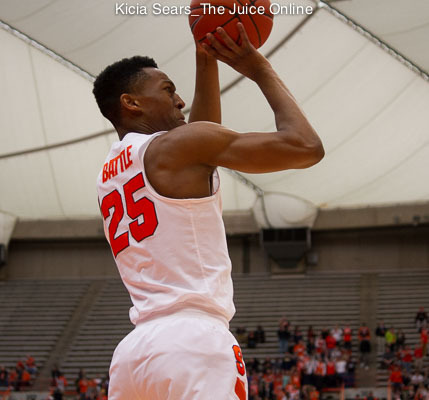 WHAT HAPPENED: With 5:37 left, Syracuse was clinging to a two point lead before a pair of Tyus Battle jumpers ignited a 7-0 run that finally allowed Syracuse to take control. The Orange never led by double digits until late, but managed to hold off the feisty and undersized Gaels to move to 2-0 on the season. 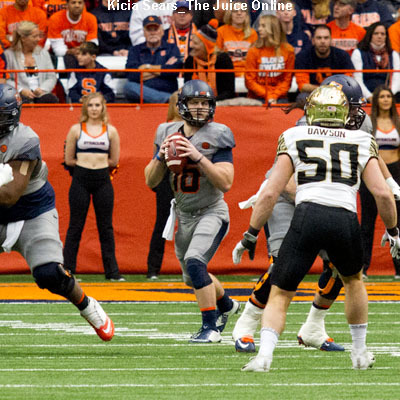 ANALYSIS: In just its second game of the season, the Orange passed a tough test. The Gaels won the Metro Atlantic Athletic Conference last season and played as a No. 14 seed in the NCAA Tournament and most prognosticators have them competing for another Tournament bid in 2018. Syracuse played an aggressive game and got into the double bonus with over nine minutes left in the second half, but as per a familiar bugaboo, shot just 13-22 at the line, which kept the game close. HERO: Tyus Battle set a career high with 28 points, and his backcourt mate Frank Howard added 15 points and four assists. Rickey McGill led the Gaels with 21 points, including five 3-pointers. 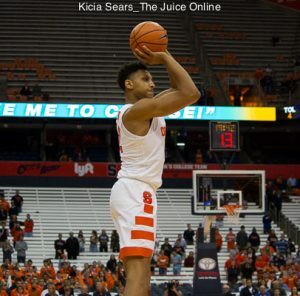 ZERO: Though SU had a significant size advantage, it still surrendered 10 offensive rebounds. It’s also early in the season so the Orange was sloppy, turning the ball over 15 times. WHAT’S NEXT: Syracuse begins the Hoophall Miami Invitational by hosting Texas Southern on Saturday, Nov. 18 at 7 p.m. TV: ACC Network Extra.